During the latter half of the twentieth century, the world witnessed the rise of the modern environmental movement. 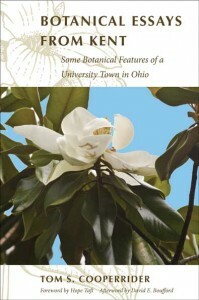 Chronicling this significant occurrence in Ohio, and specifically in Kent, a university town in the American Midwest, Botanical Essays from Kent is a collection of writings and photographs that capture the spirit and excitement of botanical fieldwork during the 1960s, ’70s, and ’80s. With personal narratives based on fifty years of experience, author Tom S. Cooperrider provides fascinating botanical tales on the study and conservation of Ohio flora, the Herrick Magnolia Garden, work of other local botanists, the protection of rare species and unique areas, such as Kent’s tamarack bog, the discovery of lost plants, the survival of a famous cultivated tree, and the invasiveness of alien plant species. 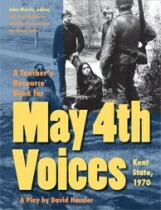 Kent Bog, dedicated as a state nature preserve in 1987, is the book’s focal point. Botanical Essays from Kent is a valuable addition to the understanding of local natural history and will be enjoyed by botanists, gardeners, and nature lovers alike. AuthorsA native Ohioan, Tom S. Cooperrider is a botanist, an expert on Ohio flora, and a professor emeritus of biological sciences at Kent State University. He has authored and coauthored numerous research articles and five books in the field of botany, including Endangered and Threatened Plants of Ohio and Seventh Catalog of the Vascular Plants of Ohio. Cooprrider is a Fellow of AAAS, the American Association for the Advancement of Science. Hope Taft is the former First Lady of Ohio and founder of the Ohio Heritage Garden at the Governor’s residence. David E. Boufford is senior scientist at the Harvard University Herbaria. 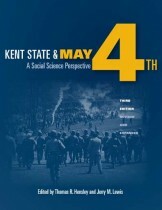 ReadingOn April 17, 2012, Tom Cooperrider and friends gathered at the Kent State University Library for a reading from Botanical Essays from Kent by Dianne Centa, Roger Di Paolo, and Donald “Mack” Hassler. Follow this link and scroll down to see the video.